Television • 9-year-old Sheldon Cooper is more innocent and naive than the adult version. 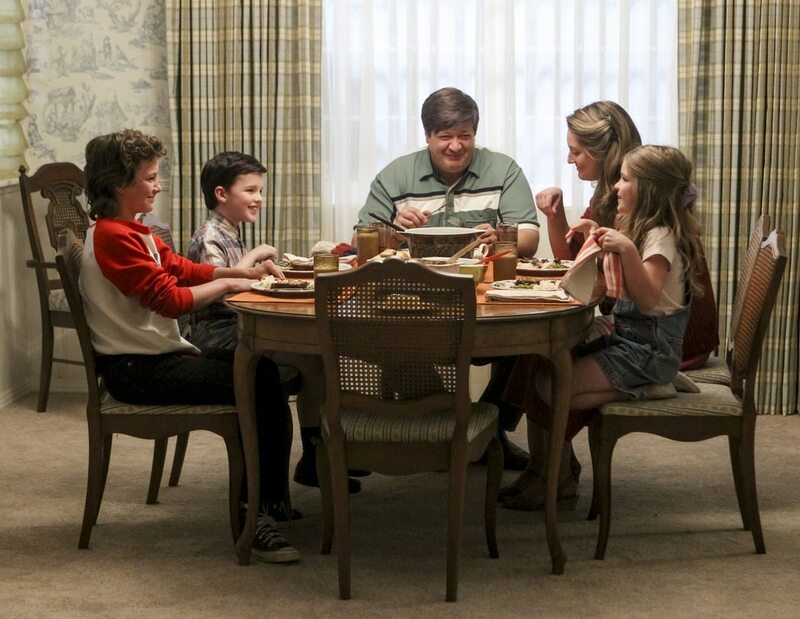 (Photo credit: Robert Voets/CBS) Iain Armitage and Zoe Perry star in “Young Sheldon.” (Photo credit: Robert Voets/CBS) Montana Jordan as Georgie, Iain Armitage as young Sheldon, Lance Barber as George Sr., Zoe Perry as Mary and Raegan Revord as Missy in “Young Sheldon.” (Photo credit: Sonja Flemming/CBS) Iain Armitage stars as the 9-year-old Sheldon Cooper in “Young Sheldon.” (Photo credit: Monty Britton/CBS) Iain Armitage, executive producer/narrator Jim Parsons, executive producer Chuck Lorre and executive producer Steven Molaro talk “Young Sheldon” with TV critics. “Young Sheldon” is a prequel to the most popular comedy on television — “The Big Bang Theory” — but it’s a very different show. Not just because it’s set in 1989, when Sheldon Cooper was a 9-year-old genius entering high school. Not just because it’s about Sheldon and his family. It’s a very different format. “Big Bang” is a multicamera sitcom, filmed in a studio in front of an audience. “Young Sheldon” is filmed on location and shot like a movie. There’s a very simple reason for that. The show centers on a 9-year-old actor (Iain Armitage) and features his twin sister and teenage brother. “It seemed like the more appropriate way for them to do the best work was in a closed setting,” said executive producer Chuck Lorre. 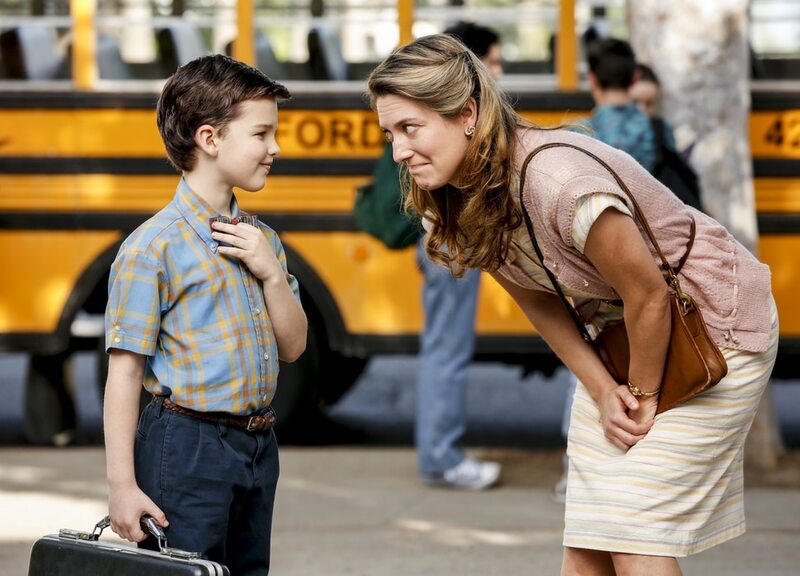 CBS is airing the “Young Sheldon” pilot on Monday, Sept. 25, at 7:30 p.m. on CBS/Ch. 2; it returns with its second episode in its regular time slot on Thursday, Nov. 2, at 7:30 p.m. The new series is very much like “The Wonder Years”; it’s about a young boy and his family, and the adult version of the boy serves as the series narrator. “Young Sheldon” wis narrated by older Sheldon (Jim Parsons, who has played the character on “Big Bang” for a decade). The writers/producers looked to “Wonder Years” for inspiration because “nobody did it better,” said Lorre. He is TV’s most successful sitcom producer; his credits include “Roseanne,” “Dharma & Greg,” “Two and a Half Men,” “Mike & Molly,” “Mom” and, of course, “The Big Bang Theory.” But this is his first filmed comedy and the first with narration. “He can be so difficult and hard on his best friends, and yet, somehow, he has a quality as a person where the audience forgives him,” Lorre said. Not that young Sheldon is exactly like older Sheldon. “When you take those same qualities and ask a 9-year-old to bring that, it’s a brat. That’s not something that’s very pleasant,” Lorre said. 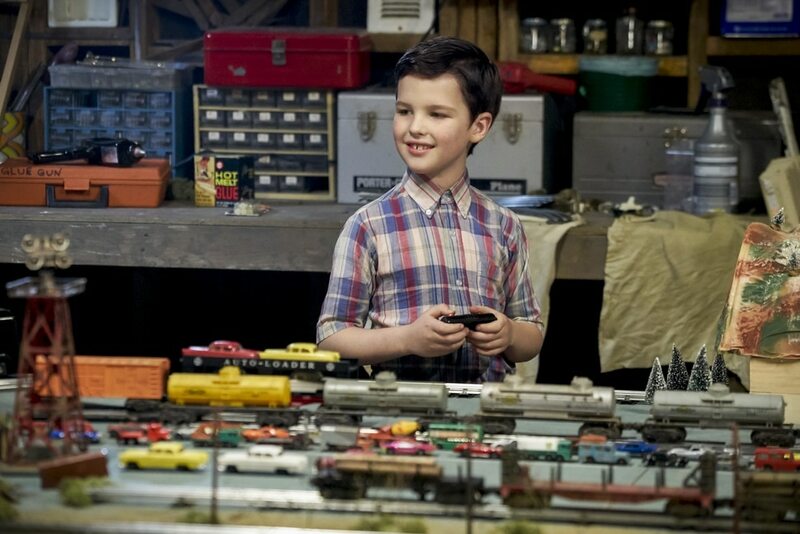 Young Sheldon is “much more vulnerable and naive” than older Sheldon, Lorre said. “More innocent and hopeful,” said creator/executive producer Steven Molaro. But “Young Sheldon” is not just about Sheldon, it’s about his mother (Zoe Perry), father (Lance Barber), sister (Raegan Revord) and brother (Montana Jordan), too. “Part of the fun of writing the series was not just to watch how Sheldon develops, but to see how his family has to adapt,” Lorre said. Lorre and Molaro (who’s also an executive producer of “Big Bang”) are still adjusting to writing and producing a filmed comedy. Molaro said he “marveled” when they shot the first family dinner scene in the “Young Sheldon” pilot.